"We are excited to announce the new staff for the 2019 season," said Nor'easters general manager Giancarlo Granese Jr. "These three guys have been in the PDL game before and have had success at this level. As everyone knows, the PDL is a changing game and nothing can stay the same forever. We look forward to getting the ball rolling again for the 2019 season." For Oswald, he jumped at the chance to get back on the sidelines. 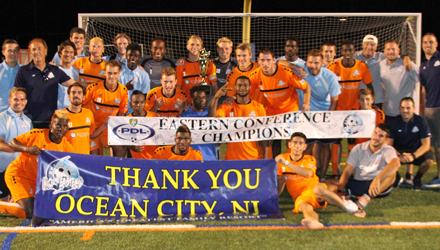 Oswald was the Nor'easters' head coach for five seasons and finished as the club's all-time leader in PDL victories with a 47-19-6 record. He led the club to a pair of Mid-Atlantic Division titles (2012, 2013), two Eastern Conference championships (2013, 2016), reaching the PDL National Semifinals in both seasons. Oswald was also a finalist for the PDL Coach of the Year award in 2012. The Philadelphia native is also the head coach of the Rutgers University-Camden (RUC) men’s soccer team. During his time at RUC since 2006, he has broken the school record for wins, led the Raptors to four conference championships, five NCAA tournament appearances, and a run to the NCAA Division III national championship game in 2013. 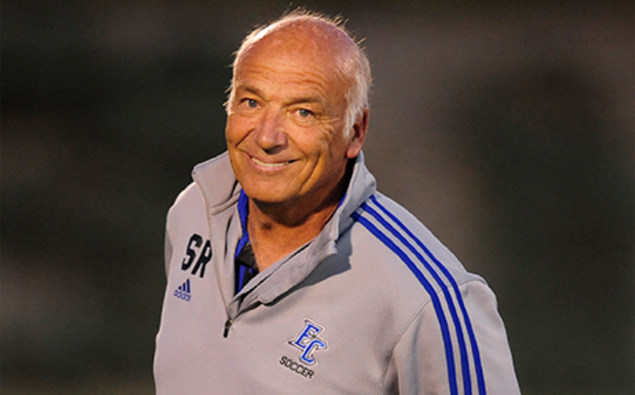 The 2013 NSCAA Division III National Coach of the Year has led RUC to a pair of Top 5 finishes and is one of the winningest college coaches in the country. Kevin Nuss will take over as sporting director where he will, among other things, focus on recruiting and managing players, communicating with professional clubs and creating the club’s 2019 training and match schedule. “It’s a unique opportunity to return to the Nor’easters and continue to build on the club’s recent success and pick up where we left off as a staff during the 2016 season,” said Nuss. Nuss left the Nor’easters after the 2016 season to take a job as the general manager of the Cedar Stars Academy where he was able to work with U.S. National Team legend, and current U.S. Under-20 National Team head coach Tab Ramos. Currently, Nuss is the head coach of the nationally-ranked Camden County College men’s soccer program, and is also an assistant coach under Oswald at Rutgers-Camden. Kevin originally joined the Nor’easters in 2011, starting out as an assistant coach before being named associate head coach in January of 2014. In addition to his role as associate head coach, Nuss was named general manager a few months later. As general manager, Nuss recruited a number of talented players who moved on to play the game at the next level. Some of the players include 2016 PDL MVP Chevaughn "Chevy" Walsh, who later signed with the Pittsburgh Riverhounds (USL), current Penn FC (USL) captain, and former Philadelphia Union defender Ken Tribbett and current Oklahoma City Energy player Shawn McLaws, who was drafted by the New York Red Bulls (MLS). The Nor’easters are also thrilled to bring Skip Roderick back to the Beach House for the 2019 season as an associate head coach. Roderick brings a wealth of experience to Ocean City as one of the most successful coaches in college soccer history. Since taking over as the head coach Elizabethtown College in 1983, he has led the Blue Jays to more than 500 wins, which ranks 11th among all coaches across all NCAA divisions. He also led the Jays to 18 NCAA Division III tournament appearances and a national championship in 1989. Roderick and Oswald go back a long way, as Skip recruited Tim to play at Elizabethtown College. Oswald played for Roderick from 1997-2000 and was an all-conference selection as a senior. Roderick, a Springfield, Pa. native, also had a successful playing career. Some of the highlights include playing for clubs in England (Everton and Brentford), Ireland (Sligo Rovers, 1976 League of Ireland Champions), and the Philadelphia Atoms in the original North American Soccer League. "When Tim was given the opportunity to return to the Nor'easters coaching helm, it was a no-brainer to work with him again," said Roderick. "I am excited for the opportunity to reunite our dynamic coaching staff since all of us work so well together. We are looking forward to an exciting 2019 season and hope to bring another magical season to Ocean City, America's greatest family resort."